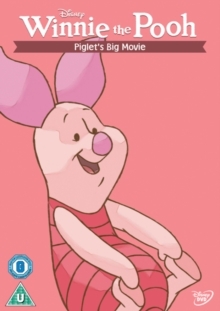 It's Piglet's very first movie ... and a BIG one at that! This is a wonderful story of friendship, fun and appreciation in which everyone learns it doesn't take somebody big to do big things! Piglet disappears into the Hundred Acre Wood after hearing he is 'just too small' to help Pooh, Tigger, Eeyore, Roo and Rabbit with a hunny-gathering scheme. To find him, everyone makes a plan to work together and use Piglet's scrapbook for clues to his whereabouts. While searching, they realise how big a part Piglet has played in their many adventures together. Then, when Pooh finds himself in a precarious situation, a superhero just the size of you-know-who shows up, and with a lot of courage and a little luck just might save the day!